We are an independent, Australian-owned and operated company. We are not a subsidiary of any other corporation. We are not part of any other funeral company. We do not conduct funerals. We do not receive commissions from funeral homes. eziFunerals operates Australia wide, including New South Wales, Victoria, Queensland, Western Australia, South Australia and Tasmania. Our customers include consumers of funeral services, independent funeral homes, aged care service providers, employer groups and life insurance companies who require access to independent and unbiased third party advice to help focus on what’s important rather than making arrangements in a sales focused environment. We are committed to treating our customers with professionalism, dignity and respect. Our advisers are equipped with the compassion, knowledge and resources to help clients and their families develop personalised funeral services to fit their budgets and personalities. We work for our customers, and not the shareholders of the large funeral chains, to ensure every last detail is resolved in advance or at the time of need, depending on the client’s wishes. 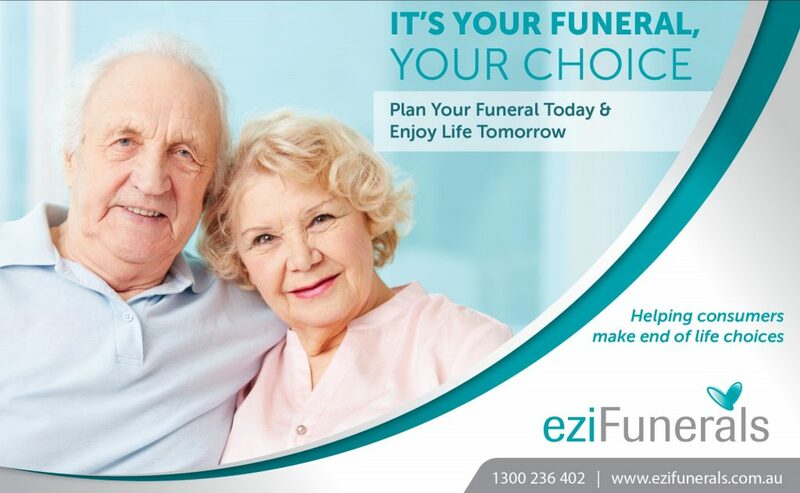 For you to get the most out of your eziFunerals experience, simply follow the steps below and start using our online funeral planning solution to shop around, make informed choices and compare funeral homes on service and price. Let us help you plan a funeral from the privacy of your home, and avoid a sales focussed environment . We’ll guide you and your family to achieve the funeral arrangements that you are happy with. You can finalise your plan now or store your plan and use it later. Only once you are ready, do you select and meet a funeral director. When you’re ready, you can use the platform to invite multiple funeral directors in your area to provide you with obligation-free quotes. Our premium member funeral directors will submit competing bids to win your business. You’ll be able to contact the funeral director and compare services before selecting a funeral director that’s right for you. We’ll notify you when our funeral directors have submitted a quote on your funeral plan. When you’re ready, you can accept the quote provided and proceed to contract with your selected Funeral Director to conduct the funeral.